The world of Shirley Jackson is eerie and unforgettable. It is a place where things are not what they seem; even on a day that is sunny and clear, "with the fresh warmth of a full summer day," there is the threat of darkness looming, of things taking a turn for the worse. Hers is the ever-observant eye, the mind's eye, bearing witness. Out of the stories rises a magical somnambulist's ether—the reader is left forever changed, the mark of the stories indelible upon the imagination, the soul. Jackson writes with a stunning simplicity; there is a graceful economy to her prose as she charts the smallest of movements, perceptual shifts—nothing pyrotechnic here. Her stories take place in small towns, in kitchens, at cocktail parties. Her characters are trapped by the petty prejudices of people who make themselves feel good by thinking they are somehow better than us all. They live in houses that need painting, in furnished rooms, inside the lives of others—as though in a psychic halfway house, having lost their footing. They are shy, unassuming folks who, for all intents and purposes, would pass through the physical world unnoticed. They care about appearances—how they are seen by others; they possess certain kinds of respectability and a healthy dose of small-town cruelty. This is about politics on the most macro of levels. There is great concern for how one is perceived, how one moves through and does—or, more likely, does not—fit into society, for everyone here is an outsider. Throughout, things are turned inside out, the private is made public, and there is the tension, the subtle electrical hum, of madness in the offing, of perpetual drama unfolding: something is going to happen, something assumedly unpleasant. Everything is thrown into relief, lit in a Hopperesque late-afternoon glow, the one-sided illumination both revealing and casting a long shadow. I can conjure the faces of each person Jackson describes, for the wear and tear over time is evident: they become bitter, pinched, they drink too much. These stories chart intention, behavior—they are an intimate exploration of the psychopathology of everyday life, the small-town sublime. When reading Jackson, I can't help but think of the stories of Raymond Carver, who had a similar ability to create a sort of melancholy emotional mist that floats over his stories. But Jackson also had the ability to be savagely funny: at one point in her career, Desi Arnaz reportedly inquired about her interest in writing a screenplay for Lucille Ball. The twenty-five stories in The Lottery and Other Stories—originally subtitled The Adventures of James Harris—are a generous serving of fiction. 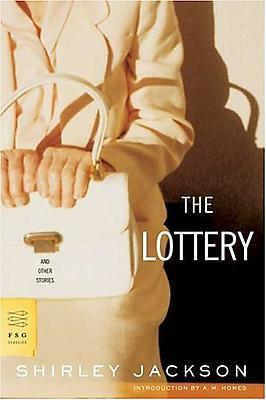 The title story, "The Lottery," is so much an icon in the history of the American short story that one could argue it has moved from the canon of American twentieth-century fiction directly into the American psyche, our collective unconscious. And whether it is the drunken guest and the smart young girl in "The Intoxicated"—for young girls always know far more than all others, and are both understanding of and perpetually disappointed at the behavior of their elders, male elders in particular—or the well-intentioned but racist Mrs. Williams in "After You, My Dear Alphonse," Jackson's stories are infused with notions of morality, of children being better souls than adults, of a world where people are often persecuted for being different. What is brilliant about these stories is that Jackson presents them to us in such a way that we, the readers, can see them with great clarity and insight, yet the author is careful to allow her characters to remain in a world of their own making, to not pop the bubble. Jackson works with precision; she sees things as if she's zoomed in and has got life under a magnifying glass. And it's not just any glass, but one with a curved owlish lens, so that perhaps we see and know a little more than usual. Her authorial voice is as idiosyncratic and individual as a fingerprint, and has the ring of God's honest truth. One of the complications of the critical response to Jackson's work was that most critics couldn't make sense of—or more likely, accept—a woman writer who could produce both serious literary fiction and the far less reputable "housewife humor" that Jackson also published. Further, Jackson was not interested in being a "woman writer"; she was just a writer, neither male nor female, in a way that to this day is still not easily accommodated by the publishing industry and booksellers. And yet she managed some version of doing it all: she was a woman writer who did not compromise her vision or her talent, and she was a wife and mother of four who managed not to lose herself in some half-baked definition of what "mother" and "married" meant in a pre-feminist era. Jackson was true to her craft and her talent, and in the face of so much seeming "normality" also knew her demons, intimately, personally, but pushed on. Few women writers have been able to manage so much. Along these lines, Jackson reminds me of the late English author Angela Carter, who was also not bound by genre, who had no interest in distinguishing or separating horror, science fiction, et cetera, from "literature." Grace Paley once described the male-female writer phenomenon to me by saying, "Women have always done men the favor of reading their work, but the men have not returned the favor." There is a nether land, a crevasse, to be crossed by women writers who are not writing books for "women" but books for readers. Mrs. Stanley Hyman—that was her married name; her husband was a literary critic who taught at Bennington; the town itself was the model for the town in "The Lottery." I love thinking of Shirley Jackson as Mrs. Stanley Hyman, the writer in disguise, as the faculty wife and mother. Mrs. Stanley Hyman, just the sound of it is so of a time, the perfect cloak from which she could peer out unnoticed, observe, take notes, work otherwise unseen. Mrs. Stanley Hyman—this one's for you. So how does one introduce these stories—when in fact they require no introduction? They are stunning, timeless—as relevant and terrifying now as when they were first published. Her work is an absolute must for anyone aspiring to write, anyone hoping to make sense of twentieth-century American culture. Shirley Jackson is a true master.